McKayla Reece released her first EP Heart of a Rebel on October 28. While this may be the North Carolina native's debut EP, Reece has been performing since early childhood and sings as easily as she can breathe. Over the last decade. Reece has preformed throughout the southeast, sharing the stage with fellow musicians Hunter Hayes, The Bellamy Brothers, John Anderson and many others. 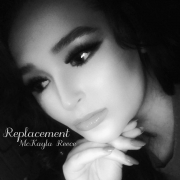 Along with her first EP, McKayla released a music video for her somber tune “I Would've Left Me Too." The song serves as a melancholy confessional as Reece sings of her regretful treatment to the man she loved, and understands why he left. Reece's diverse musical interests have greatly influenced her and helped her explore the depths of her voice and writing. When finding a music producer, McKayla needed to work with someone who could understand her multifaceted voice and genre interest. She chose to work with producer / engineer Mark Howard because of his organic soulful style, which spoke to Reece's gospel roots. Howard has worked with many artists including Bob Dylan, Tom Waits, Lucinda Williams, Willie Nelson, Marianne Faithfull, Emmylou Harris and U2. Mark's impressive background in music production easily attributed to the professional level of Reece's EP, however, was admittedly challenging for her when they began working together. “Working with such a seasoned engineer and producer, I have to admit, at times, was challenging," McKayla said. “He really pushed my limits as an artist and writer. He put an amazing group of musicians together that added so much to the process. As part of Mark's style, he brings the studio to you, so we actually recorded everything in my managers living room on this beautiful hill top in Topanga, California. What an awesome recoding journey!" Impressively, the two recorded eighteen songs together including a handful of covers from musicians that have been Reece's musical inspirations such as Emmylou Harris, John Prine, Bob Dillon, Natalie Merchant, The Eagles and Nat King Cole. The musical diversity in her recordings is also incorporated into Reece's live shows, which include a unique blend of country, rock and gospel. Stay up to date on the latest from McKayla, be sure to follow her on Facebook and Twitter today and watch her 17-minute epic for “Heart of A Rebel" Full Story below!